Who said you had to spend an arm and a leg on window treatments? 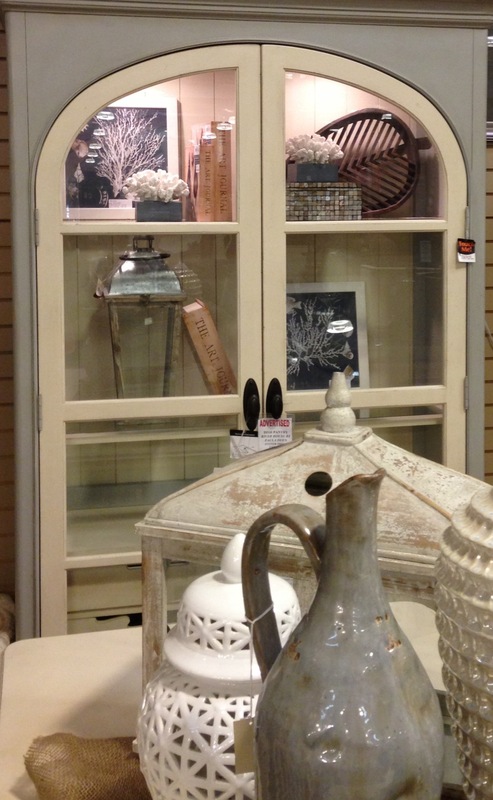 Take a look at these panels we have at both of our locations. You can get a pair of grommet panels for only $29.99. What color do you need for your home, black pearl, dove gray, linen? I just those names. The measurements of these are 40″ x 84″. 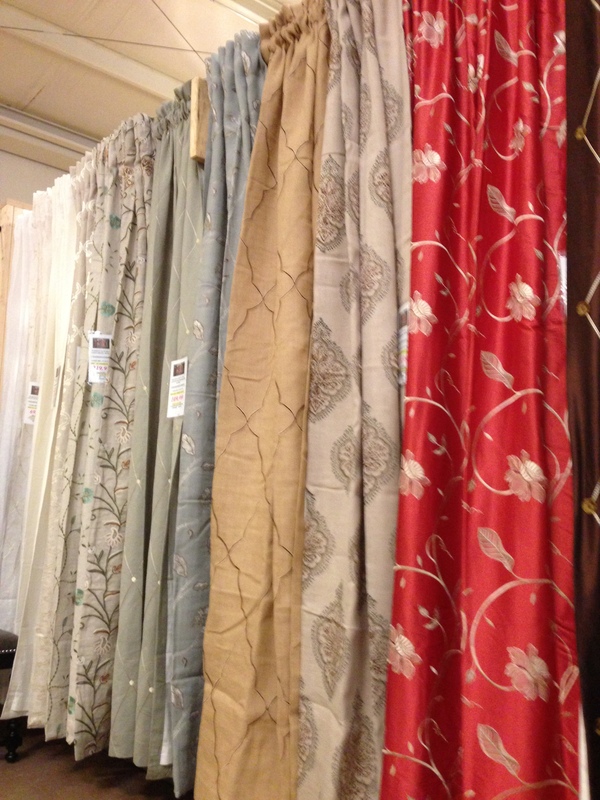 If you need a larger size, we also have custom window treatments as well. Who out there knows what to look for when picking out a new mattress? I mean really! Who in the world can tell the difference and benefits between spring, foam, gel, etc? I will tell you who; WFO, that’s who. Allow our mattress doctor, Dr. Jeremy to inform you. If you need a mattress, now is the time to visit us. We have a new mattress doctor in the house and he knows exactly what prescription you need. 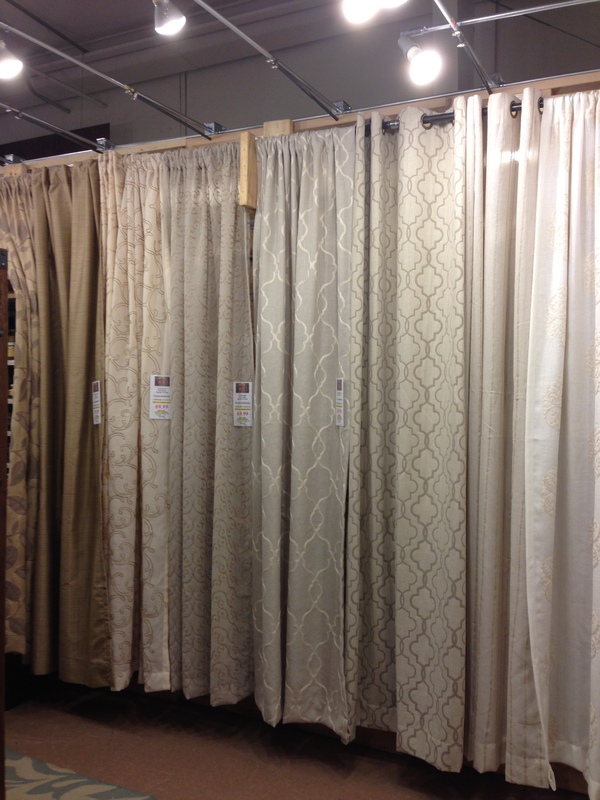 Featuring one of our NEW line of Window Treatments at Woodstock Furniture Outlet. 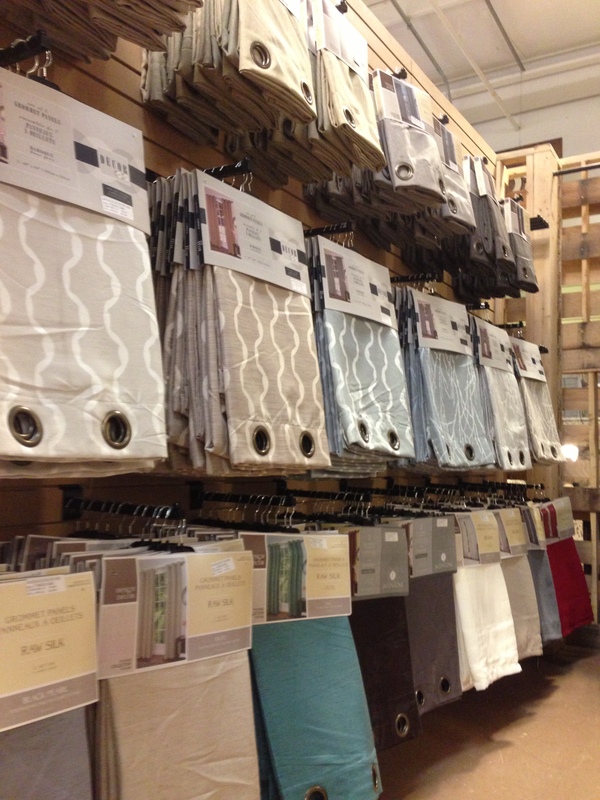 Window Treatments are a must finish to any design project, like accessories to fashion. Let these new treatments be the”Star of YOUR Room”. Choose between silk. linen, jute, burlap and much, much more. Special Order Today for your next project. Delivery Time approximately 2 days to 3 weeks OR choose from our Ready-Made treatments….cash and carry on the spot. Whatever your budget, these treatments will sure to be a “scene-stealer” for your next project Our Ready-Made line of window treatments are almost too good to be true. 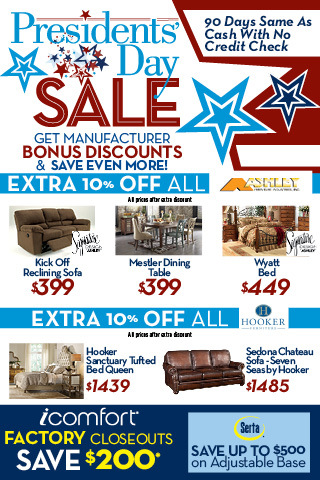 Come in while supplies last for your favorites, shop for your new furniture and pick your ready-made window treatments to take home with you the same day. They are available in an array of colors and fabrics. DUE TO INCLEMENT WEATHER, WFO IN ACWORTH AND HIRAM WILL BE OPEN THIS SUNDAY, 2/16/14 12:00 – 6:00 TO SERVE OUR LOYAL CUSTOMERS DURING THIS GREAT EVENT. Paula Deen Event starts today. 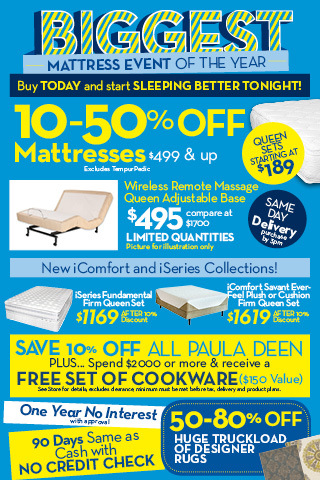 10% off all Paula Deen (excludes clearance). Spend $2000 on Paula Deen Furniture and receive a set of Paula Deen Cookware. A New Year invites new trends. “Touch and Texture” will be the largest focus this year in 2014. Look for soft colors, recycle and reclaimed items, and silky curtains, full of texture that draws you to touch. 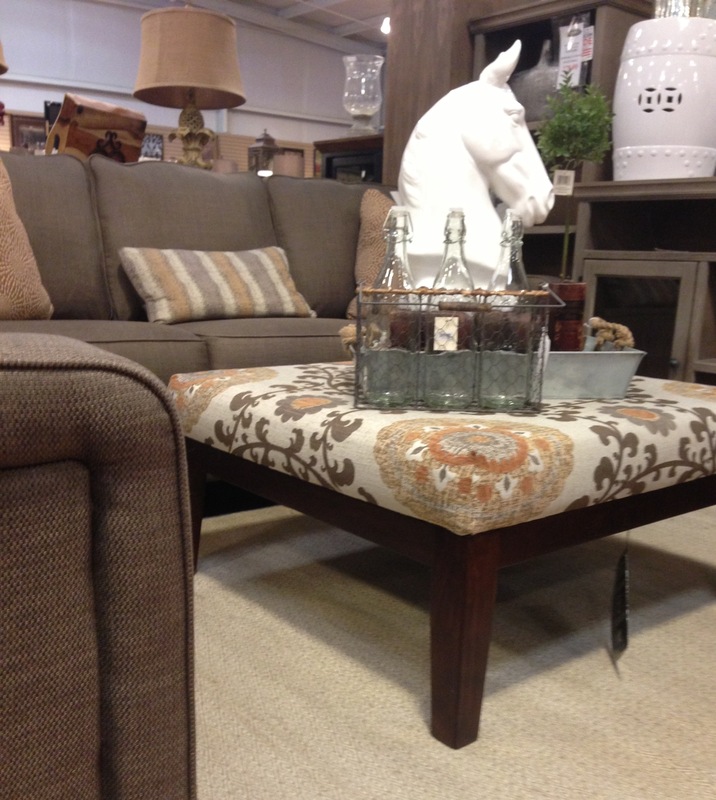 Pictured above from our Woodstock Furniture Outlet showroom is a soft gray sofa and love seat with a few pattern pillows. Also a large printed ottoman placed on top of a wool cream rug. 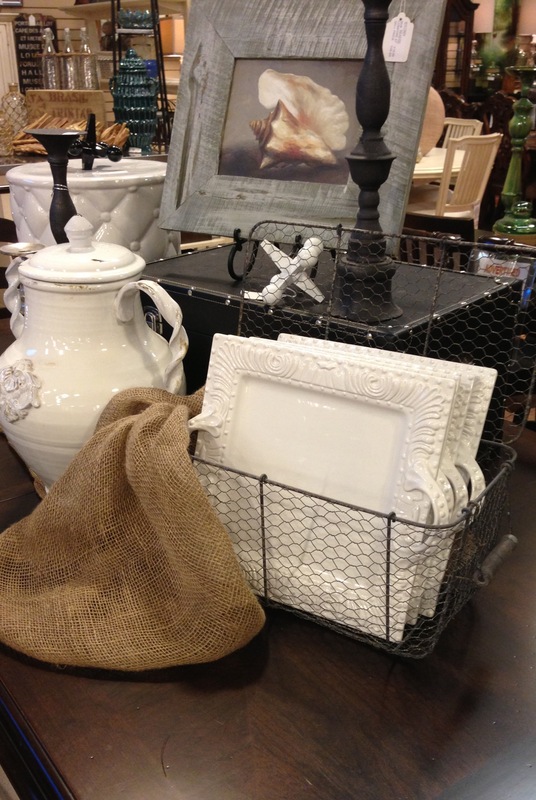 All these textured pieces are accompanied with accessories that include: vintage bottles in a wire basket, gray metal tray with rope handles, and a bright white horse for a modern edge. 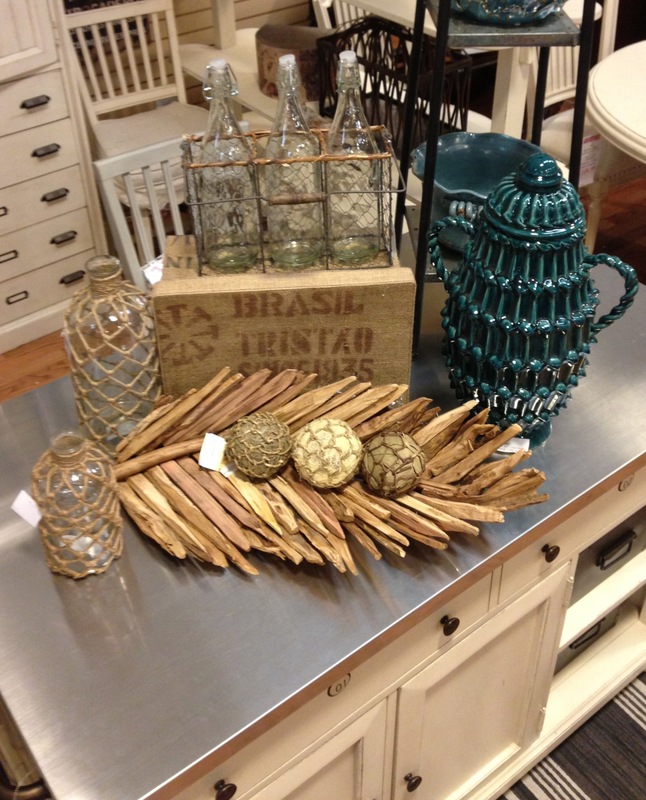 Stop by to touch all this in person…..